Math activities are so much fun, and the best part is children don't realise they're learning while they're playing. 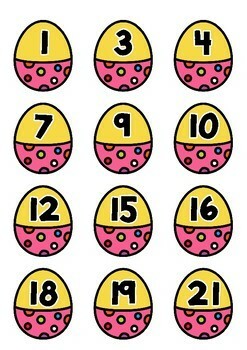 This activity is designed for students to gain confidence recognising and recalling base 10 numbers. 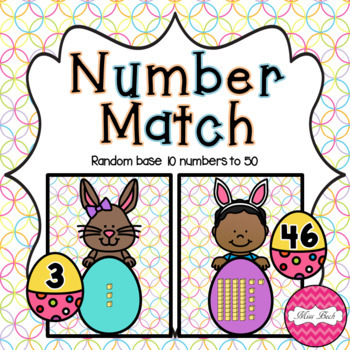 There are 30 cards with various numbers from 1-50 for students to match up. Students match the base 10 number displayed on the card with the number in the frame. ∙ Use as a partner match activity. Hand out cards to half of your class and the frames to the rest. Students must find their partner. ∙ Use as a whole class activity. Click here to view more base 10 products. 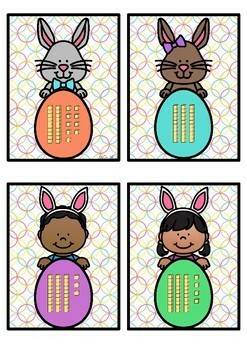 Click here to view more Easter products. Click here to view my Maths games. Please leave your feedback to gain your TpT credits. If you have any issues with this product or you would like it modified, please contact me at Miss_Beck@outlook.com before leaving any negative feedback. Thank you. * products featured in my WEEKLY DEALS!